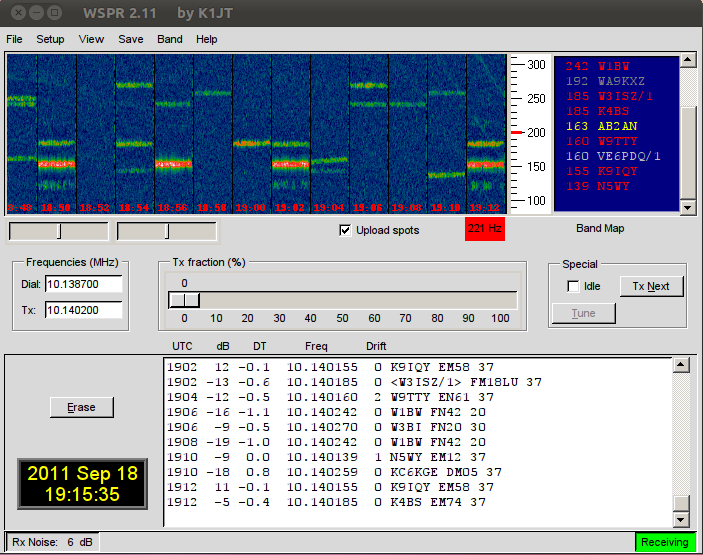 While I am working on some projects and runnings some errands I am leaving the radio & computer running in the shack listening for WSPR and posting spots. 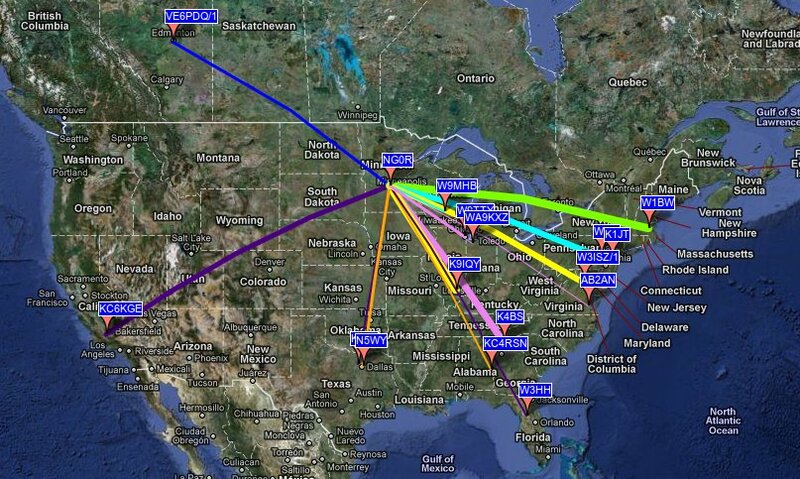 The map below shows who I have heard over the past 90 minutes or so on 30m. Now that new office/shack is coming back together so I am going to try to make more of an effort leave the rig & computer on listening to WSPR while I am working on other things. At some point in the future I would like to build small rig with a small microprocessor like a PIC or AVR as a self contained WSPR appliance. PS... here is another map from later in the day.